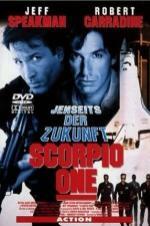 Buy or Rent Scorpio One (1998) Movie DVD & BluRay Online! Movie Plot: A disaster on space station Scorpio One leaves all the crewmembers dead. The CIA sends one of its crack agents, Jared Stone into space with a team five elite Rangers to investigate.